the room appears much as it did 100 years ago. Some archives are worse than others. The chairs may be uncomfortable, the lighting poor, the taking of photographs forbidden. Not so at the sun-filled library of the New-York Historical Society, with its two-story ceiling, swirling staircase, and creaky wooden card catalogue. Plus, everyone is friendly and helpful. Therefore it’s hard to believe that once upon a time the place was haughty and insular. One of its defining characteristics was the requirement that new members be proposed by existing members. Subsequently, the trustees would meet, discuss various prospects, and make a decision much in the way of a country club. This elitist system continued into the 1920s even though the Society desperately needed to expand its base in order to raise money. 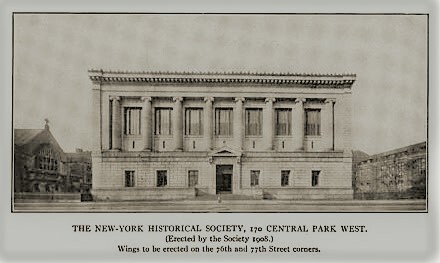 In 1908, the trustees had bought land and constructed a new building on Central Park West. Operating costs rose even as architects drew up plans for additions. Through it all, the Society’s librarian, Robert H. Kelby, quietly went about his business, researching and writing; parrying inquiries. Visitors dropped by for lectures and little else. The mission of the Society was not abundantly clear. Then something happened in 1917. Mrs. John King (Maria) Van Renssaeler, a Society member and descendant of one of New York’s oldest Dutch families, kicked up a fuss at the annual meeting. With the hordes of immigrants due to arrive here after the war, it is essential that some organization take enough interest to supply them with new national figures, history and folklore of this country and city, to take the places of those they had to leave behind. They will come to us full of illusions of America, the land of the free, and will find New York gasping under its load of munition millionaires, careless and spendthrift. During the past century, the goal of Americanization has become controversial. But in 1917, Mrs. V. R.’s words were quite progressive and way too much for the trustees, who pushed back. One year later at the annual meeting, she again urged change before storming off. 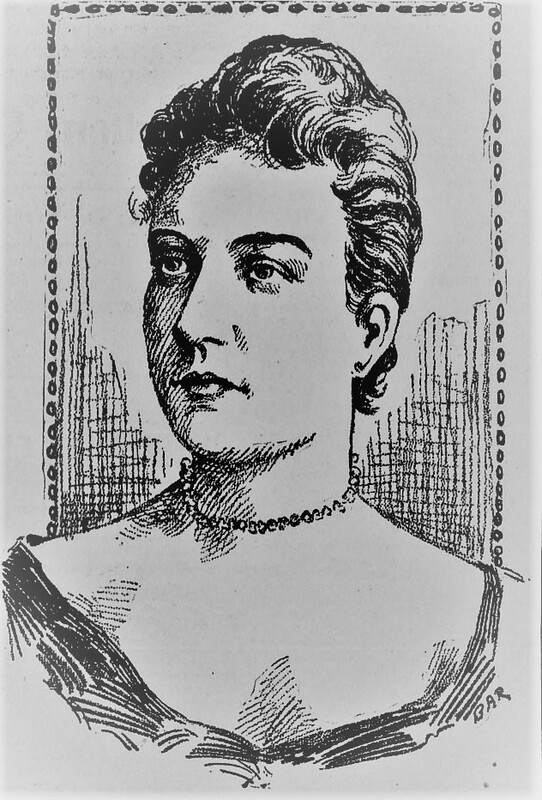 In 1920, she established the Society of Patriotic New Yorkers, a branch of the Colonial Dames of America -- which she had founded in 1890. Ironically, the Colonial Dames of America started as an exclusive organization whose members all descended from Colonists. 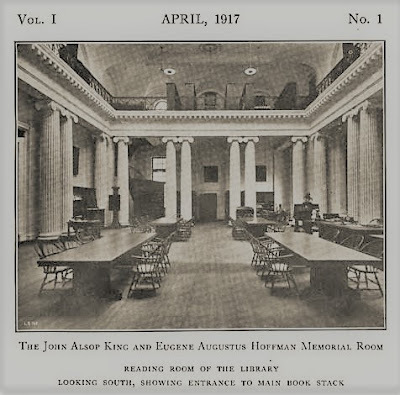 A popularizer of the city’s history who once referred to himself as a “remembrancer,” Brown had many dealings with Kelby, the New-York Historical Society librarian, and his successor Alexander J. Wall. 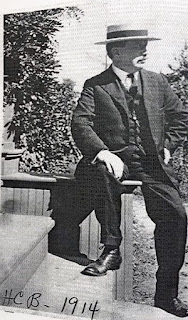 * Brown often borrowed pictures from the Society’s collection and reproduced them in his books. Like Mrs. V. R., he urged Kelby and then Wall to coax the Society into the twentieth century. Gradually, the Society’s trustees changed their modus operandi. Meanwhile, Henry Collins Brown assembled a board for the Museum of the City of New York. Next he prevailed on the city to donate the dilapidated Gracie Mansion, overlooking the East River, as a temporary home for the museum. Built in 1799 as a country estate, Gracie Mansion would undergo the first of many restorations. After being named director of the Museum of the City of New York, Brown moved his wife and young daughter into the mansion. That may have been one of the reasons why the board ousted him in 1926. For some time there would be bitterness and rivalry. Eventually, each museum would find its place. *Mr. Wall's real name was Wohlhagen, but the Society's trustees asked him to change it when the US entered World War I in 1917. Were women always allowed in? I would be intrigued to know about that controversy -- if there was one. 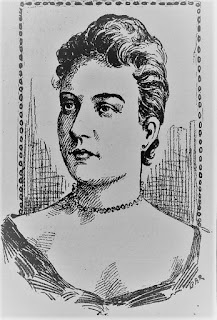 It strikes me as something that might have happened during the Civil War, when most of the men might have given their wives their seats on the board for safekeeping.